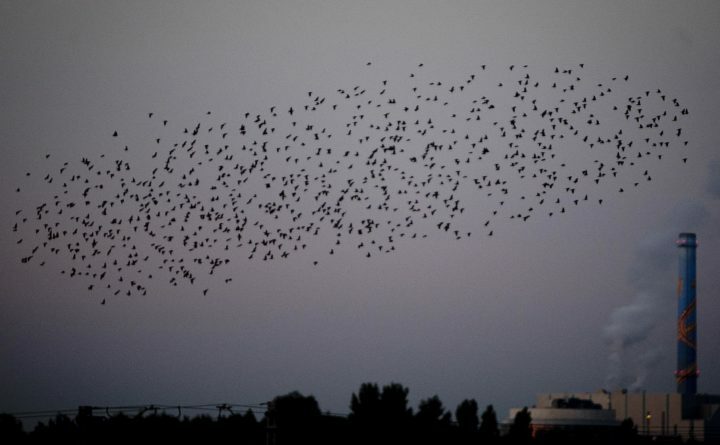 A swarm of birds flies over a field in Frankfurt, Germany, Sept. 10, 2018. Police in Gilbert, Minnesota, are warning residents about a group of youthful residents unable to handle their alcohol. They’ve been drifting around town looking disoriented, narrowly avoiding getting hit by cars. A number of Gilbert residents commented on the Facebook post and thanked the police department for explaining why the birds had been acting so strangely. One woman wrote that she had found three dead birds on her deck recently, while another described quickly slamming on her brakes when a bird flew directly into her windshield. ” This explains why I have hit 7 birds with my car this week,” commented another. Obviously, birds can’t exactly take a breathalyzer test. Matthew Dodder, a self-described “bird guy” with four decades of birding experience who leads classes in Palo Alto, California, told The Washington Post that the key giveaway to tell whether birds are drunk is their goofy behavior.